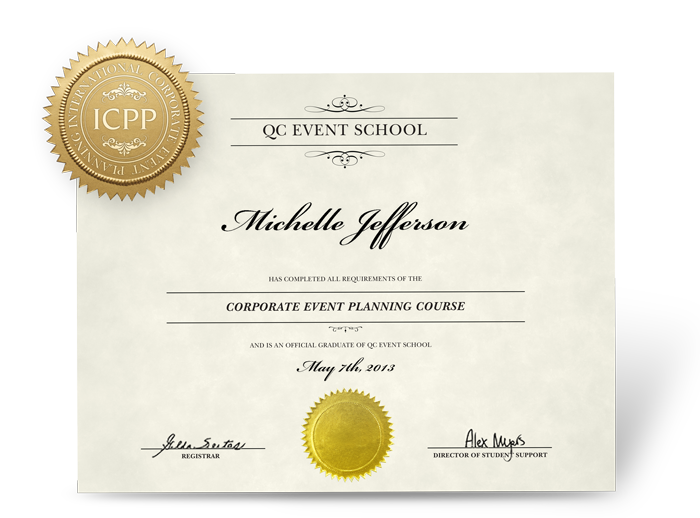 QC’s Corporate Event Planning Certification course provides a comprehensive education to students looking for well-rounded training in the corporate event world. QC’s newest course will expand your career opportunities into the rapidly growing field of corporate events. Corporate event planners can find opportunities in a wide range of industries, from tech to non-profit and government to fashion. 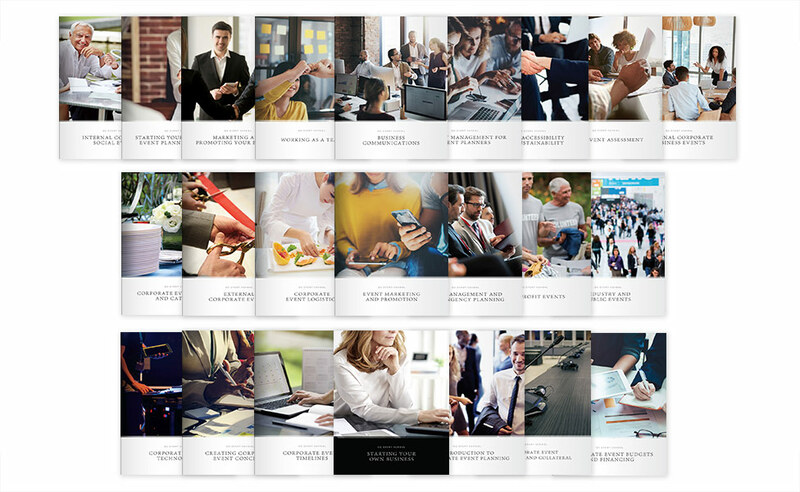 You’ll learn how to plan and manage all types of corporate events for your clients, such as product launches, corporate social events, tradeshows, and promotional campaigns. 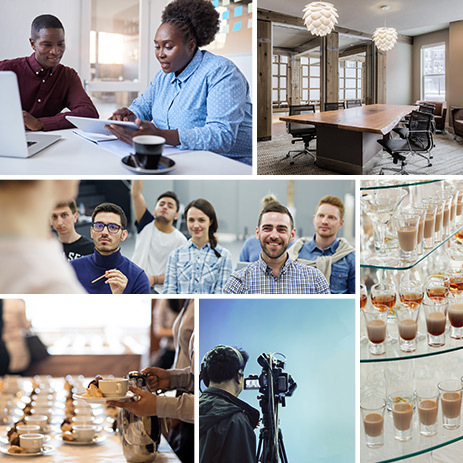 You’ll discover flexibility in the various job possibilities within corporate event planning that suit any lifestyle, whether you’re looking for regular hours or the opportunity to travel in your career. 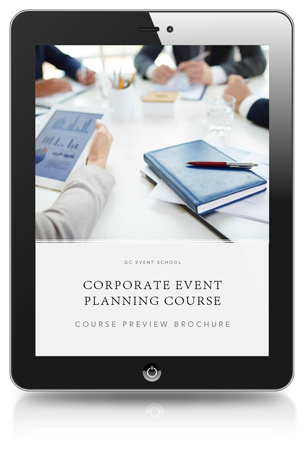 In this certification course, you’ll learn all about key corporate event planning components, from working out logistics to aligning your events with company goals. Graduate from your Corporate Event Planning course and receive the designation of International Corporate Event Planning Professional (ICPP). You’ll be able to use the initials ICPP after your name in all professional contexts. Near the end of your course, submit a final practicum assignment that summarizes everything you’ve learned. You’ll work with a real-world scenario that reflects your personal career goals. You’ll have the opportunity to choose between two assignment templates: creating a for-profit corporate event, or creating a social corporate event for a non-profit organization. You’ll plan the entire corporate event from beginning to end. Experience what it’s like to work with branding, marketing, changing circumstances, budgeting, and much more as you complete your assignment. When you graduate, you’ll be fully prepared to work in the corporate event industry. Use your professional industry certification to boost your job prospects, performance, and salary! 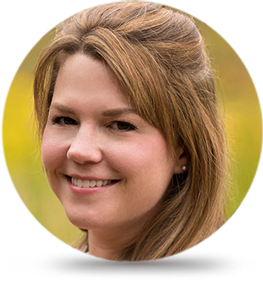 A dynamic event industry leader with over a decade of experience in progressive leadership roles, Alyssa leads the performance of over 30 technical conferences and events across North and South America for a global conference production company. Her experience includes directing operations, negotiating contracts and terms, managing complex budgets, designing and producing events, all while leading a diverse team of event professionals towards achieving financial growth of a multi-million dollar events business. QC sends you everything you need to complete your course, including lesson texts and course guides. You’ll gain lifetime access to the Online Student Center where you can access electronic copies of your course materials, including your online video tutorials. Here, you’ll submit assignments, connect with peers, and review your tutor’s evaluation and audio feedback. If you want a thriving career planning events in a variety of industries, corporate event planning could be the right path for you. Enroll today and take the first step towards a successful future—one where you are excited to go to work. Plus, when you enroll with QC you are never alone. We are here to support you every step of the way to help you reach your career goals faster. Not too sure the course is right for you?